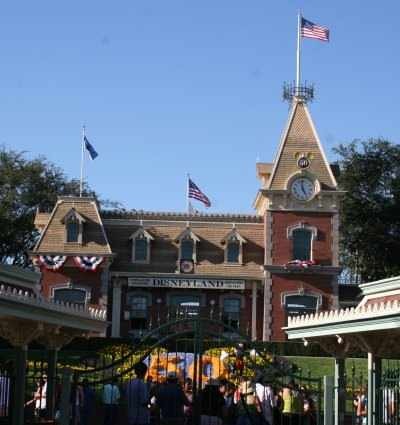 Disneyland California Address, Google Map and Directions, Parking and more to make your visit to Disneyland a happy stay. Disneyland is pretty easy to find, with easy freeway access from Interstate 5. There are several different parking areas depending on your vacation plans. You may then ride the tram or monorail to Disneyland or California Adventure theme parks. If you are visiting Disneyland in Anaheim, California, you'll want to know the address. We hope you find this information useful for your stay in Southern California. Please note the entrance to Disneyland and Disney California Adventure are off the same plaza, so these driving and parking directions apply to both Disney theme parks. When planning your day at the Disneyland Resort parks, if you are driving, we suggest you arrive 60 minutes early if you are buying your ticket at the gate, or 30 minutes early if you already have your tickets. This will allow you plenty of time to park, ride the tram and purchase tickets if needed at the main gate. You may also save money by purchasing Disneyland tickets in advance. See Cheap Disneyland Tickets. But what you probably really want to know is the address for Disneyland parking. There are many other parking lots with free tram or shuttle services. See our Google Map below. You'll find a "Guest Drop-Off Only" area on the west side of Harbor Boulevard, located south of Manchester Avenue and north of Disney Way, for picking up or dropping off Guests at the theme parks or those who wish to purchase tickets for a future visit. 15 minute parking time limit, so use your cell phone to coordinate pickups. W Ball Rd & S Disneyland Dr.
Disneyland Resort is located in the Southern California town of Anaheim, in Orange County, south of Los Angeles. Exit Interstate 5 Southbound using the Disneyland Drive exit and Northbound using the Katella Avenue exit. The street signs will direct you where to go. The best parking garage is the Mickey and Friends Parking Structure. If you are routed to one of the other parking lots, you may get rerouted to this main parking garage. Disneyland Parking fees are $20.00 for cars and motorcycles, and slightly more for oversized vehicles, motor homes, buses and tractors with extended trailers. When visiting the theme parks, over sized vehicles should use the main entrance to the Mickey & Friends Parking Structure, located south of the Disneyland Drive and Ball Road intersection. The height limit of the Mickey & Friends Parking Structure is 13'10". 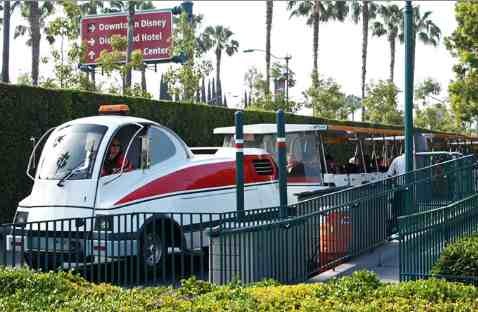 Once you've parked in one of the Disneyland parking lots, a free Disneyland tram will take you to the main entrance of Disneyland and Disney California Adventure. There you may purchase tickets if needed, and enter either Disneyland California or Disney California Adventure theme park. Some tickets are "park hopper passes" which allow you to visit both Disney parks on the same day. 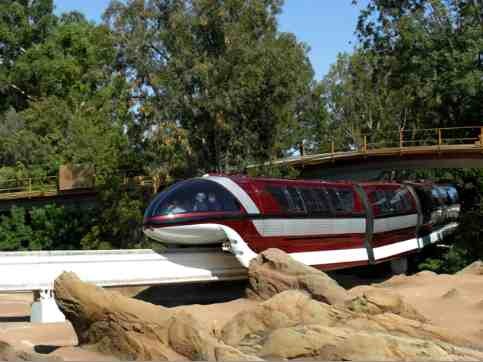 If you are staying at one of the Disneyland hotels, you can ride the monorail to Disneyland park.